It looks cool and requires no more equipment than a pull-up. 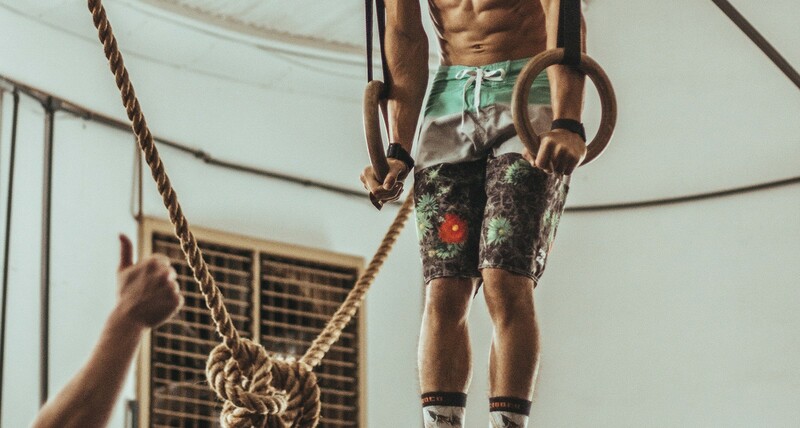 In fact, the first half of a muscle-up is just an overhand pull-up. Once your head passes the bar, keep pulling to get your shoulders above the bar, then use your triceps to get your waist above the bar. When you’re done, you should look like a jacked Russian gymnast about to do a flip. While you’re learning, use a little leg kick to get some momentum. If you want to bulk your arms, shoulders, and upper back, do it without the leg kick and focus on the movement.